LAHORE: Friends, family, artistes, intellectuals and Ajoka Theatre’s faithful audience came together to pay tributes to the founder of the theatre group and rights activist Madeeha Gauhar in an evening, titled “Celebrating Madeeha,” at Alhamra Art Centre, The Mall, on Tuesday. The evening was spent remembering Gauhaur with music, enactments of plays she had directed recalling the old days. Guests from India, including artistes, intellectuals and theatre activists, who had worked with the late Madeeha also graced the event with their presence. Among them were Kewal Dhalliwal, Neelam Mansingh Chowdhry, Sahib Singh, Mazhar Hussain, Bibi Harjinder Kaur, Ramesh Yadav and Parminder Singh. Addressing the audience, theatre director Kewal Dhalliwal said Madeeha was as dear to the people in Amritsar as she was to the Lahoris and announced that a Madeeha Gauhar festival would be held every year in city. He also said that a peace award would be also be introduced in her name in both the countries. Dhalliwal also announced that on May 26 a big tribute would be paid to Madeeha in Chandigarh. “We shall also launch a book on Madeeha Gauhar in Amritsar containing her memories,” he added. The emotional evening was opened with lighting a lamp brought from India. It was lit up by friends of Ajoka and members of the Indian delegation. During the lighting of the lamp, Madeeha’s son Nirvan Nadeem played a music piece on violin. Madeeha’s husband Shahid Mahmood Nadeem, a renowned playwright and the moving spirit behind Ajoka, in his opening remarks, said: “We are here not to mourn for Madeeha but to celebrate her”. He said after art, peace between India and Pakistan was the passion of Madeeha. Rubina Saigol, a childhood friend of Madeeha, shared with the audience her memories, saying Madeeha and she were friends since they were students at the Convent. “We were also together at the Kinnaird College”. She said Gauhar had invited her to perform in a street theatre which later emerged out as Ajoka Theatre. She said besides theatre her another strong bond with Madeeha was the platform of Women Action Forum (WAF) since she was a great women rights activist. Veteran journalist Hussain Naqi lauded Madeeha for the bravery she showed during Gen Zia’s regime and fearlessly staged plays on sociopolitical issues. He said both Gauhar and Shahid Nadeem had enriched culture through their art. Indian artiste Sahib Singh said he did a lot of theatre with Madeeha Gauhar and she was a brave woman and a great human being. 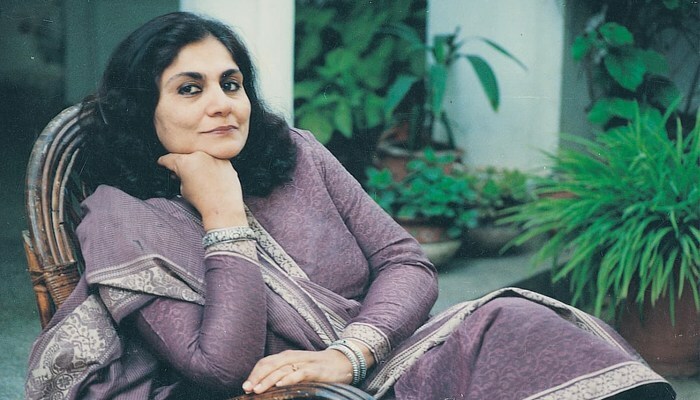 Theatre director Neelam Mansingh Chowdhry called Madeeha a movement within herself. The other members of the Indian delegation also paid rich tributes to Gauhar. Executive Director Lahore Arts Council Captain ( Retd) Atta Muhammad Khan said had it been in his hands he would have named Hall 2 of Alhamra Centre after Madeeha. PPP Punjab president Qamar Zaman Kaira said Madeeha was among the few who had enriched the cultural face of the country through her theatre. He recalled her fight against suppression in the 1980s, saying it needed a special mention. Kaira said the PPP would continue supporting Ajoka.